Gardening is a satisfying hobby. It is fulfilling to see things that you planted grow and produce food. It is also delicious to eat! If you live in a small space, you can still have a beautiful and bountiful garden. 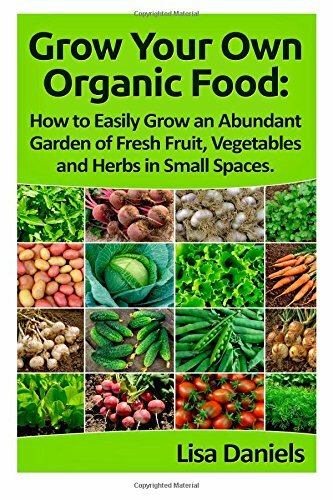 This book will help you set up your garden space, choose what to grow and effectively take care of those plants. Learn About: Vertical Gardening Choosing the Correct Containers Soil and Dirt for your Garden Composting in A Small Space Organic Pest Control There are so many fruits and vegetables that you can realistically grow in a small space. Some Are: Dwarf Fruit Trees Strawberries Blueberries Tomatoes Lettuce If you have no outdoor space, you can still have a small herb garden indoors or you can try and grow mushrooms and sprouts right in your own kitchen. With practical advice and our DIY projects, your small space garden could turn from a dream to a reality!